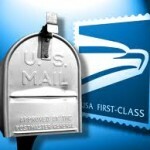 17 MayIs Direct Mail Marketing Still Effective? 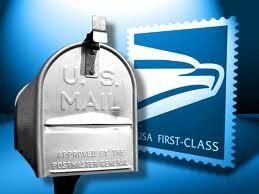 98% of consumers bring in their mail the day it is delivered. 77% of those sort their mail immediately. Direct mail marketing allows you to target specific groups, yielding a better ROI. With the customizations, a direct mail campaign allows you to speak directly to an audience and have them respond. The vast options (i.e. brochures vs. pamphlets) in direct mail marketing allow your campaign more flexibility and value. With the direct mail campaign, you get to put your marketing material directly in the hands of the customer you target. Direct mail campaigns are easier to measure clear results and gives flexibility in meeting customer expectations. Clearly, there are strong justifications for digital marketing, but the fact remains, direct marketing campaigns remain the king. You get to put your message directly in the hands of the target audience, let them touch and feel it, and leave a deeper impression of the impact of the material. They also allow you to be specific when targeting a customer demographic, which provides measurable results in the end. Direct mail campaigns may be just the thing to boost your bottom line and build a strong customer base. Data Ladder can be a trusted partner in your direct mail campaign. We all understand the importance of data quality to any campaign … it can make all the difference in outcomes. Our product, Data Match 2013, complete with data cleansing and fuzzy matching algorithms, makes it the best tool available to ensure your direct mail campaign touches the right customers. Our software also helps improve direct mail campaign effectiveness through opportunity mapping, and can even identify and classify customers by industry or keyword! Contact one of our data specialists for more information.